Portland's 1907 Nathan Clifford School was closed in 2011 after the construction of the city's new Ocean Avenue Elementary School nearby. Now, the city is hoping to sell the historic structure. 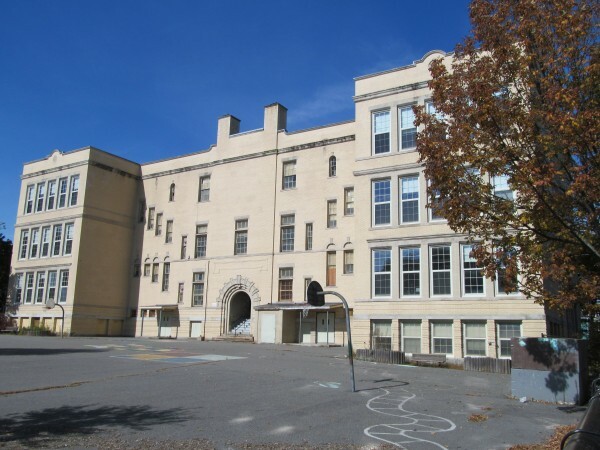 PORTLAND, Maine — The Portland City Council on Monday night unanimously agreed to sell the Nathan Clifford School to housing developers for $1, a decision criticized by some as shortsighted given overcrowding problems in other city schools. Under the terms of the transaction, Developers Collaborative must preserve 18,000 square feet of the 67,000-square-foot school campus for public space — essentially saving the current playing fields and playground area for continued neighborhood use — and spend $15,000 on infrastructure improvements nearby. The councilors’ effort to add public space to the project came across as hypocritical to former state lawmaker and Gray Street resident John Eder, who noted that the proposal to protect the area came just more than a month after the council’s controversial decision to sell off 9,500 square feet of the publicly owned Congress Square Park in the downtown. Eder was one of at least two members of the public to note that the city is battling overcrowding problems in its schools and is spending $75,000 to lease space in a former Falmouth school for its program for students with mental health diagnoses and emotional disabilities. The Nathan Clifford School — whose property is bordered by Falmouth, Deane and Payson streets — has been closed since 2011, when it was replaced in the Portland Public Schools roster by the new Ocean Avenue Elementary School. Two years after the $14-million, 437-student-capacity Ocean Avenue school opened, it was expected to have a school population of nearly 500. Kevin Bunker, of Developers Collaborative, has said he plans to redevelop the 104-year-old, 46,000-square-foot school building to accommodate 18 market-rate housing units. Bunker said he plans to market the units at $1.60-$1.70 per square foot, or about $1,600-$1,700 per month for a 1,000-square-foot unit. Another sale option, in which the city would have turned over the property to Developers Collaborative for $200,000, but would have only received 6,000 square feet of public space and $5,000 worth of infrastructure improvements, was rejected in favor of the $1 plan by the council’s Housing and Community Development Committee. Nicholas Mavodones, chairman of the council committee, told the Bangor Daily News preserving public space, relieving the city of maintenance responsibilities for an aging building and finding a compatible development plan for the city’s Oakdale neighborhood were higher priorities in the deal than maximizing profits. Members of that neighborhood largely came out in favor of the project Monday night. Martha Sheils of nearby Woodmont Street offered comments of her own and read mostly supportive letters she said were from several of her neighbors. “I would have preferred to keep this building in education, but since that ship has sailed, I support the current proposal,” Sheils said. The school property will generate approximately $78,000 in annual tax revenue once it has been redeveloped as market-rate housing, according to Portland Economic Development Director Gregory Mitchell, who outlined the sale options for the committee in a memo earlier this month. The Developers Collaborative proposal was endorsed by a Nathan Clifford Proposal Review Committee over a competing plan offered by Community Housing of Maine, which sought to build 60 affordable housing units on the 67,000-square-foot campus. The Community Housing of Maine proposal would have exceeded density limits in the neighborhood — the R-5 residential zone requires 3,000 square feet of land area per unit, meaning the school property would be capped at 22 units without a waiver — and with as many as 24 of the 60 proposed units to be in new buildings on the campus, much of what’s now recreational public space would have been eaten up by new construction. The Nathan Clifford School project wouldn’t be the first in which Developers Collaborative restored a former school to be used as housing. Within the last five years, the firm worked with Avesta Housing to convert the 1912 Emery School in Biddeford into 24 affordable apartments for elderly residents, and redeveloped Waterville’s 1913 Gilman School to accommodate 35 new affordable units. Nathan Clifford School was named after a 19th century Portland native who served in the U.S. House of Representatives and on the U.S. Supreme Court. It was designed by renowned architect John Calvin Stevens and was designated as a Portland landmark in 1989.